Book Challenge Day 10- First “Chapter Book” You Read | What are we...the Whos? I grew up reading these books. I’ll never forget getting so excited for bed because I knew it meant getting to sit with my mom and read a couple chapters from The Boxcar Children. The series has over 100 books and I’m pretty confident that I read most of them. I used to go to Books A Million (Fort Smith, much to our dismay, had no Barnes and Noble) and sit there for hours reading through this books and begging my grandmother to get me at least one of the massive stacks I was attempting to carry around. These books made me love reading and are the cause for me being the book fanatic that I am today. 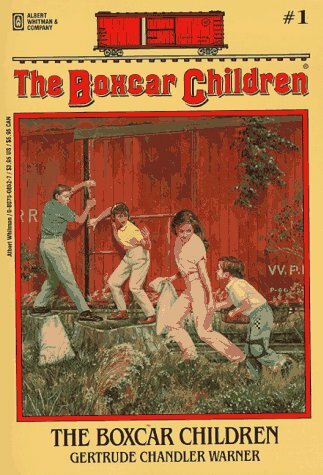 Posted in books, Reading and tagged 30-Day Book Challenge, The Boxcar Children. Bookmark the permalink. Oh my gosh, blast from my loser past! Completely forgot about this series, used to love it! And the Babysitter’s Club and Mallory Towers as well. I really needed to get out more back then. Oh man, the Babysitter’s Club! Haha I was so obsessed with those books- haven’t thought about them in quite some time!